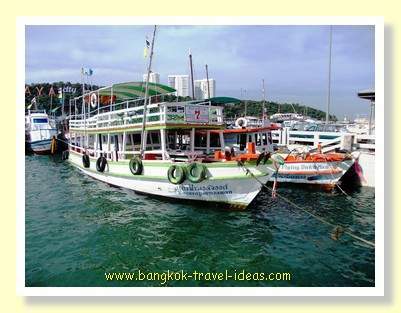 From Pattaya to Koh Lan is less than an hour on a small ferry from Pattaya's Bali Hai pier and if you set off in the early morning, you could go from Bangkok to Koh Lan easily in a day and be back in Bangkok in the evening. 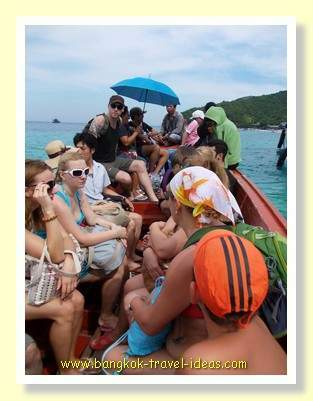 Previously when people asked about the nearest good beach to Bangkok then Koh Samet would spring to mind. 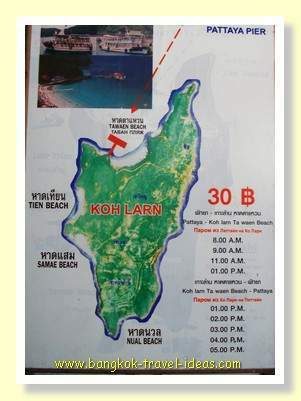 Don't get me wrong, Koh Samet has some really great beaches, but it is not the best beach near Bangkok. 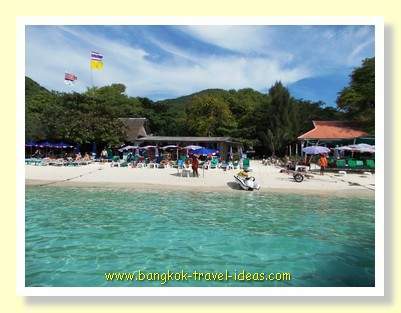 Other places that come to mind, such as Bang Saen, Wongamat or Pattaya are closer to Bangkok, but sometimes the water clarity is lacking at these beaches close to Bangkok. 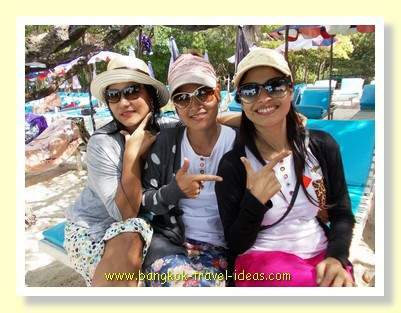 In my mind, after visiting many of the nearby beaches I would say that Koh Lan is the best Bangkok beach of them all and so let's go through the day trip from Pattaya to Koh Lan. The Bali Hai Pier is where most of the boats to Ko Lan depart. 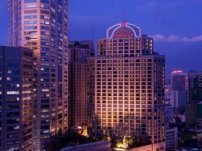 At about 9:00 am we left the Dusit D2 Barracuda Hotel and went down along Beach Road and then went straight down Walking Street. 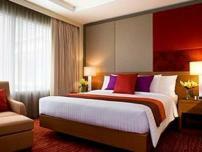 Now the Dusit D2 has been rebranded with a slightly different name, so you should search for the new name. At the end of Walking Street there is a small car park. You can also park closer to the Pier but this area is often full. Once on the Bali Hai Pier you can purchase your boat ticket. There are many choices and all different prices. 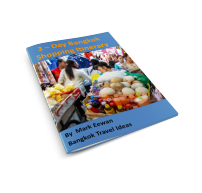 You can take a 30 baht ferry to Ko Lan that docks at Tawaen Beach or you can spend a little more and do like we did and go directly to Tien Beach for 75 baht return. For a speedboat you will pay more than this and arrive much faster of course, but then part of the fun of a day out is just enjoying the boat ride. After purchasing the tickets we just walked down the pier to the boat and got on board and after about ten minutes the boat set off. You will be given a coloured sticker that denotes which beach to get off the Koh Lan ferry, so if you are not sure, just check the other people and follow them when the time comes. 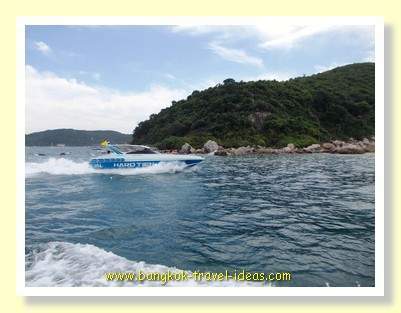 The journey to Ko Lan was about 40 minutes and there were many fast speedboats going past all the time. If you don't like the slow ferry then you could take one of these boats. 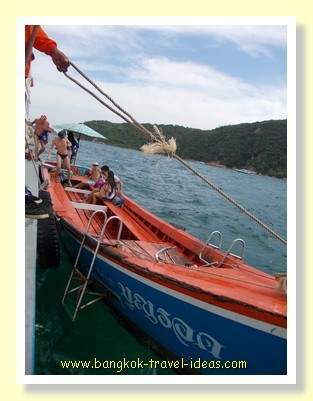 The ferry boat is too large to berth at the beach, so a much smaller boat comes out to take you into shore. The captain pulls the boat alongside and the passengers start to depart. When we arrived the water was fairly calm so we had no problems jumping from one boat to another. 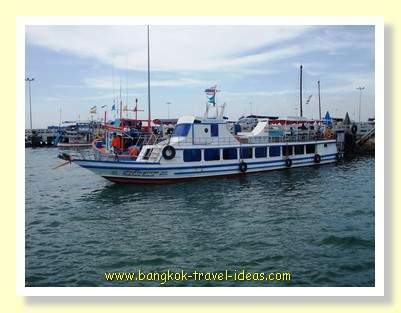 Most people were travelling very lightly on the day trip from Pattaya to Koh Lan, with just backpacks or hand luggage and so it was relatively easy to disembark the ferry into the smaller boat. When we had all disembarked the ferry set off for the next beach with the remaining passengers and the little boat went into shore. Tien Beach on Koh Lan was set up with lounge chairs and dining tables underneath the shade of the trees just a few metres back from the waters edge. If you get there early enough in the morning you can pick the best spot, right on the edge of the water. We were not that early and there were many people on the front row seats already. Not that we were that bothered as they were in full sun and we preferred somewhere a bit shady under the trees. 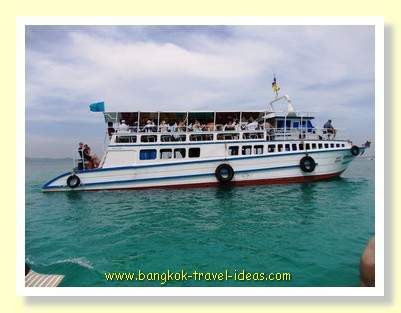 One of the great attraction of beaches near Bangkok is the great seafood that you can order. We ordered a Tom Yam Goong, a big fried fish, two Somtams, some rice and a large bottle of Coke. 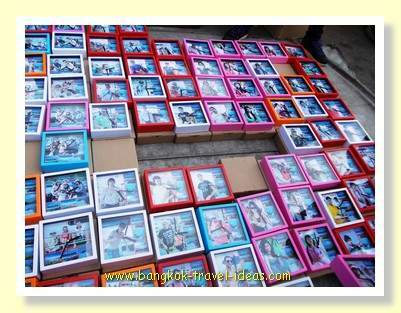 It all cost 1150 Baht but was enough for four people. 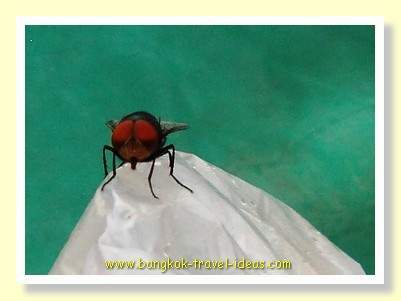 One thing I did notice was there were a lot of red-eyed flies buzzing everywhere. If you wafted them away more seemed to come, but if you just let them be then they settled and you could not see them. The good thing is that they did not bite like the Australian green-eyed March Fly, so that was good news. 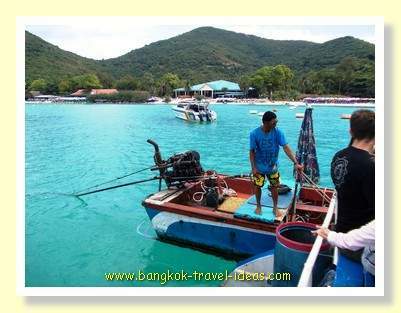 From the photographs of the trip from Pattaya to Koh Lan you can see how clear the water is on Tien Beach, it is almost unbelievable that you are so close to the mainland town of Pattaya. There were many people swimming and snorkelling and just having a good time in the clean water and the water clarity easily rivals that of Koh Samet. We spent the time on Koh Lan just relaxing under the trees, but the man sitting in the row just in front of us had obviously rented a jet ski earlier in the day, because the jet ski owner and two policemen came to speak with him about alleged damage to the jet ski. If you are not aware of the Jet Ski scam that can be pulled, then do a little bit of reading before you rent a Jet Ski in Thailand. Many of the tourists on the island were Russians and were easy to spot because they like to stretch out and make the most of the sun. 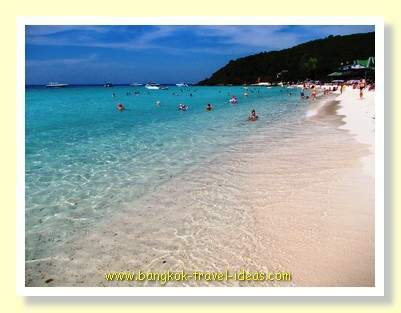 You can see for yourself how clear the water and if you are looking for a beach close to Bangkok then this would make an ideal day out. The sand has a lot of broken shells in it and is not as fine as that on Koh Samed, but it is a really nice place to visit for a day and tuck into some great Thai food whilst sitting on the beach. 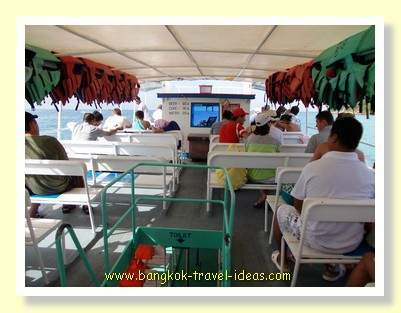 At around 3:40 pm we got back on the boat to Pattaya and headed back home. The Pattaya to Koh Lan ferry berthed back at the Bali Hai pier and just at the boat exit there were a range of photographs mounted in clocks for sale for about 100 baht. The photographer had obviously been busy that day taking photos of the day trippers. After taking the ferry from Pattaya to Koh Lan, eating some nice seafood and having a paddle in the water, everyone felt happy at the end of a good day.